Located in the oldest frame house in Cambridge, the Guernsey County Historical Museum, expanding since 1963, presents a vast array of memorabilia from by-gone years. The new curator, Judy Clay, gave a very knowledgeable tour of the museum from top to bottom, and is constantly reorganizing displays. 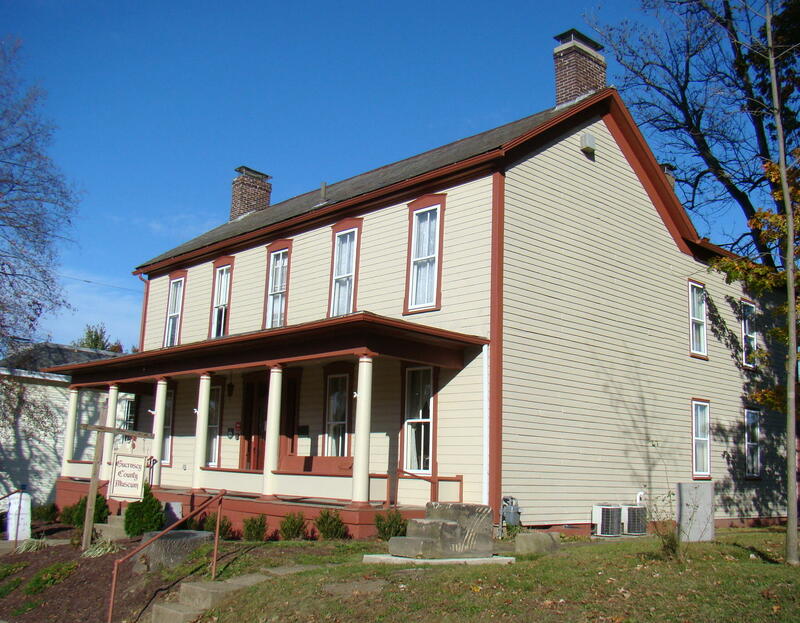 Built in 1823, what is known as the McCracken – McFarland House sat on the corner of Steubenville Avenue and 8th Street. 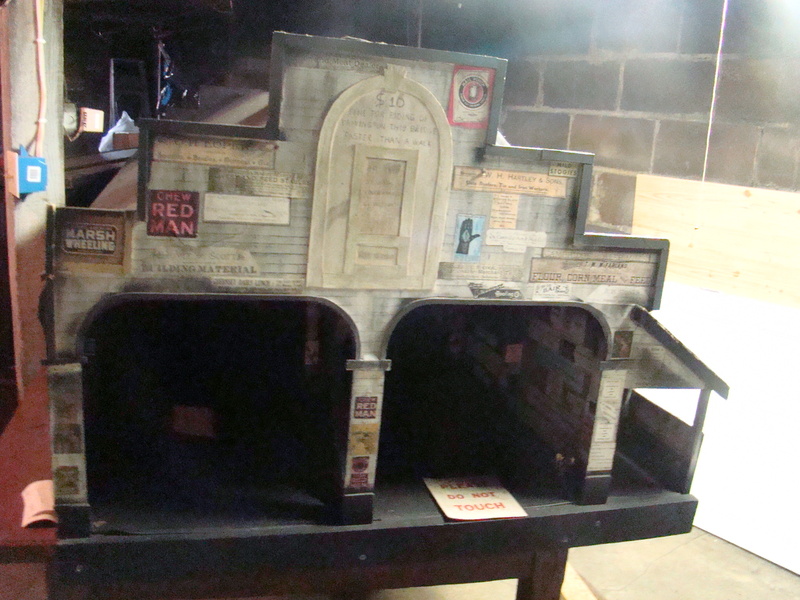 Then in 1915, the house was moved down the block and turned on its foundation. The red stained glass in the front door is original, having been moved without damage. Outside the house the yard has some interesting features. There is a 4′ tall National Trail mileage marker, and the original steps from the 1823 house. Since the house is so old, you might think there would be spirits wandering its halls, but not so say those who work there. It is the quietest old house imaginable and nothing unusual happens there…at least not yet! Bridge crossing Wills Creek – today replaced by the viaduct. An interesting sidenote is that this house was actually part of the Underground Railroad and the McCracken family was active in helping the slaves move to safety. Today you will find a replica of the wooden, covered, two-lane bridge that crossed Wills Creek stored in the basement, where most likely slaves were hidden years ago. At that time, homes had two sitting rooms. One was for family use, while the other was a formal parlor used only when special guests arrived. A beautiful marbletop table that had belonged to the McFarland family has a place of honor in the formal parlor. Pieces of Cambridge Glass and Universal Pottery are scattered throughout the house, as these were two important means of earning a living during those early years in Guernsey County..
Guernsey County Hall of Fame. The beautiful family sitting room felt cozy in its time, as this was the first house in Cambridge to be heated with gas; however, candle light was still used for reading. 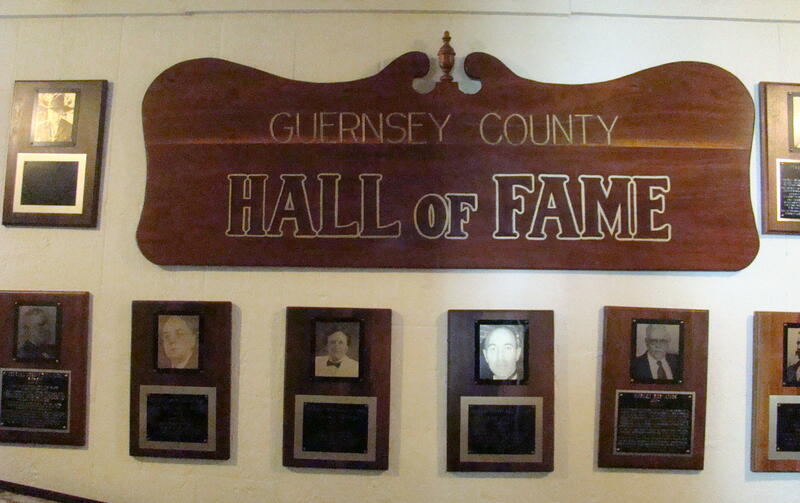 The walls in the hallway are covered with pictures of people who have made a difference in the area…the Guernsey County Hall of Fame. 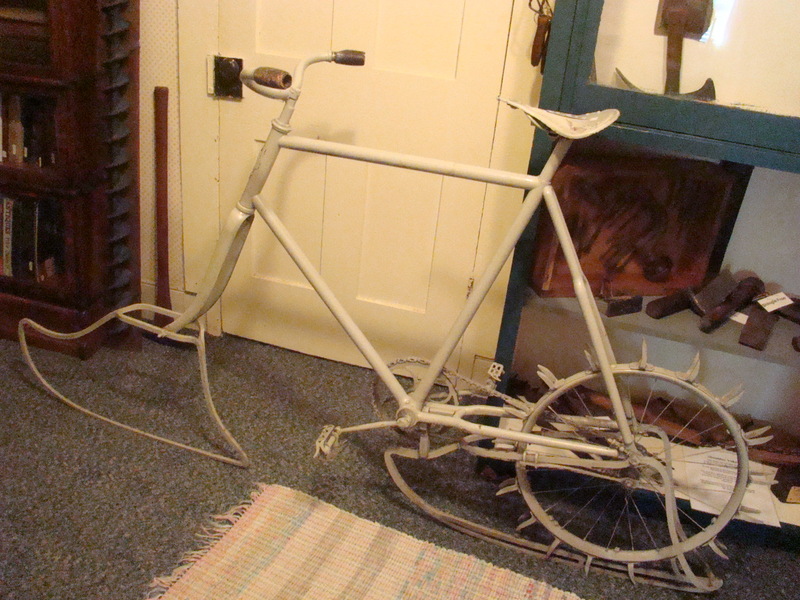 The Tool Room contained an old mail cart and an ice bike. The mail cart was actually used by the Cambridge Post Office to pick up mail from the Cambridge Train Station. Among other items was a cigar press from the Quaker City Company that made cigars. Every room upstairs had a special theme. The Military Room contained items from Civil War days to WWII. A small sewing room held a spinning wheel and a weasel, which when it got filled with thread – went pop! That was the basis of the song, “Pop Goes the Weasel”. A dentist’s office, Dickens’ room, and rooms packed with antique ladies clothes finished off the top floor. 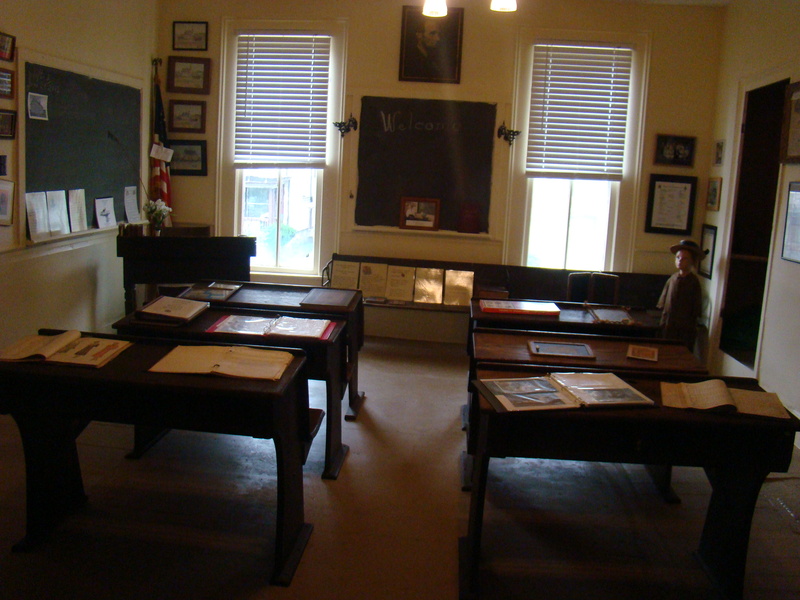 The One-Room School display contained traditional desks, teacher’s desk, blackboard, and some of those old books that were used long ago. 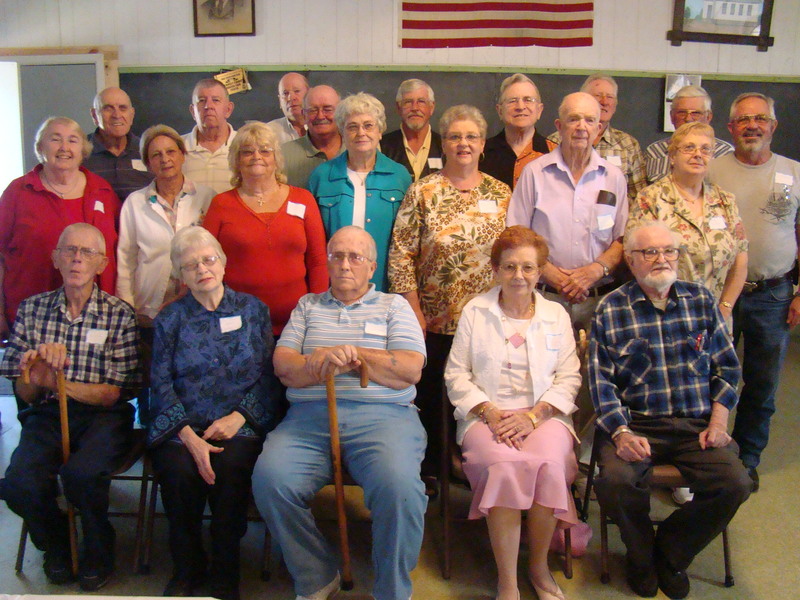 On special occassions, retired teachers will describe basic lessons and activities in a one room school. Guernsey County Museum is located in Cambridge, Ohio near the crossroads of I-70 and I-77. The easiest route is from I-70, Exit 178, which is State Route 209 West. Follow 209 straight to the Court House. Make a left hand turn and a quick right turn on 8th Street right beside the Court House. After one block, make a right hand turn and a quick left turn on 8th Street again. The Museum is located just a few doors down on the right hand side at 218 N. 8th Street. The cool morning air whispers Time for school. Memories flood back of days at a one-room school in Indian Camp. All eight grades were in one room so students helped each other climb the ladder of learning. Perhaps today is the perfect time to take a road trip leading back many years ago to Hopewell School. Chances are someone you know, or even you, yourself, have attended a similar school. After driving the winding roller-coaster road of State Route 658 northwest of Cambridge, Ohio, the old school brings a smile. Those sturdy sandstone foundation blocks remain intact where so many students received building blocks for their lives from 1905-1955. Today the school is kept in repair while being used by the Indian Camp Grange, 4-H club, Hopewell Homemakers and once a year, the Hopewell One-Room-School Reunion. The trees have grown noticeably larger in front of the school. Their branches provided the perfect places to sit while watching others play on the large surrounding field, or sharing secrets with your friends. In the absence of playground equipment, students played hopscotch at the top of the drive, baseball behind the school, or Annie Annie Over across the roof. 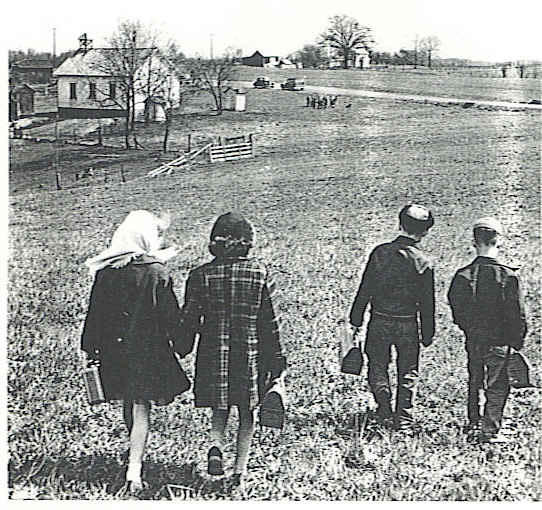 Children from miles around arrived at Hopewell School by bus, horseback, bicycle or walking. On the first day of school they proudly carried their yellow Big Chief tablet and a pencil or two. If they were lucky, they might have a box of eight new Crayola Crayons and Elmer’s School Paste. Those scents still stir up memories. 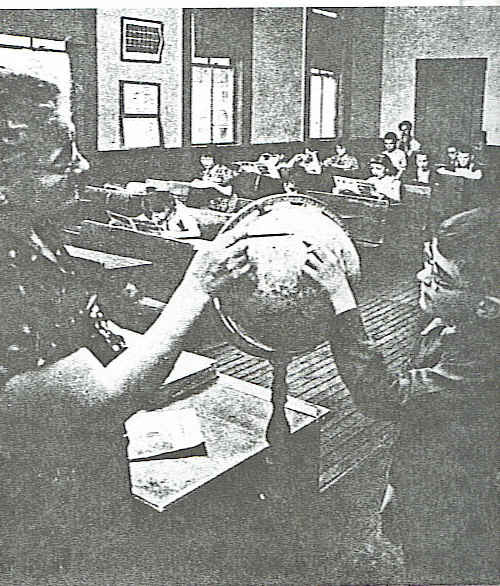 Teacher, Mrs. Mary Clark, uses the globe to explain geography during the 1950’s. Inside the building, the pot bellied stove and the old desks are gone. The teacher or a student who lived close by came early in the morning to get the room warm for students. During the day, the boys took turns filling the coal bucket at the coal shed behind the school. Many boys volunteered for this chore and took their time, some even sneaking a smoke in the coal shed. But other things are still the same. An original blackboard still has initials carved in it, and the closets where coats and lunches were kept are exactly as they were years ago. Lunches were brought in either a paper bag or a metal lunch box, which might last for several years. A personal favorite had a picture of Roy Rogers riding Trigger, and it even had a thermos. Lunch might include a bologna sandwich, boiled potato, dill pickle, and on special days, a thermos of homemade soup. Since there was no water on the grounds, the boys carried water from a near-by house. After it was poured into a large keg at the back of the room, students would use a dipper to get a drink – everyone using the same dipper and no one getting sick! No water also meant outdoor toilets with a rather unpleasant smell, flies, and even an occassional varmint. 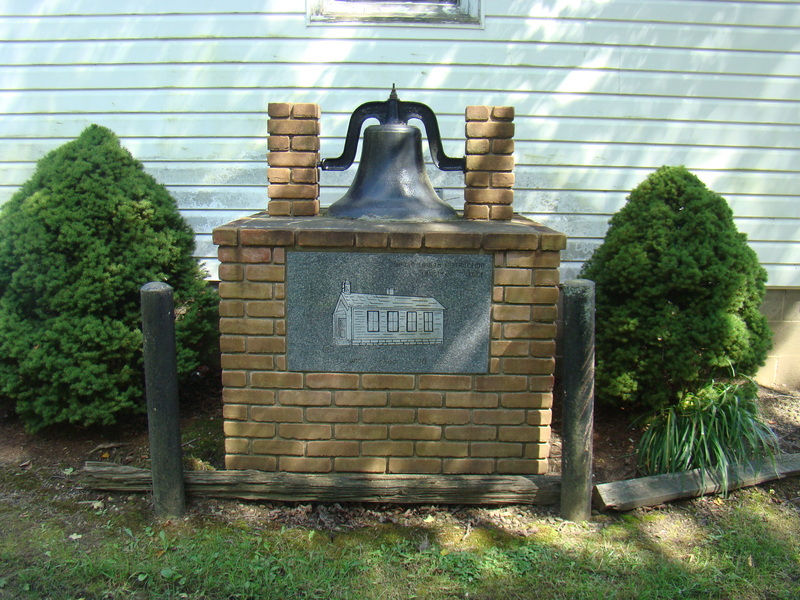 Original Bell at Hopewell School with picture of school “Whoso Desireth Education, Desireth Knowledge”. In 1994, former students constructed a brick base with a picture of old Hopewell School engraved on a plague and words that expressed the aim of the school: “Whoso Desireth Education, Desireth Knowledge”. At the top of the base sets the school bell that called students to school in the morning, and reminded them that it was time to return to the classroom after recess. Students didn’t always stay on the grounds during recess as some went to Gerty’s Store just down the road, or in winter time might be sledding on the neighboring hills of the Cowden family farm. This bell is a beautiful heritage to the people that have received their education here, and also to their children for generations to come. In spite of all the old-fashioned ways, lessons were learned and life-long friendships were developed. The one-room school was the perfect place to be taught the 4 R’s – Reading, ‘Riting, “Rithmetic…and Respect. If you would enjoy a trip to the country to see Hopewell School, follow State Route 209 west from Cambridge, Ohio through Browns Heights. After a couple of miles, turn right on State Route 658 and continue until you reach the town of Indian Camp. At the north end of Indian Camp make another right hand turn on Mt. Herman Road. You are there! 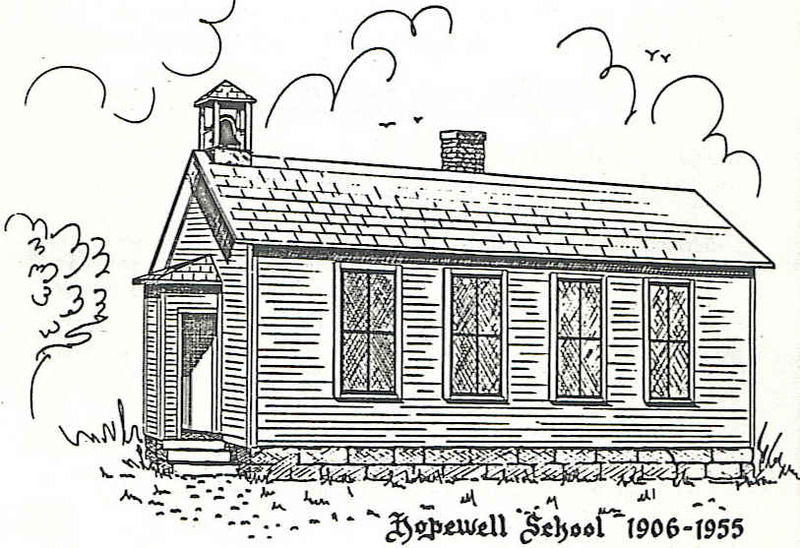 Long ago in 1906, Hopewell School was built in Indian Camp, Ohio. Education there continued for nearly fifty years with the last class graduating eighth grade in 1955. One teacher taught eight grades for most of those years and needed lots of patience and planning, as they had to make do with whatever was available. Most of the one room schools of that time were set on large, hand-hewn, rectangular sandstone blocks with the building being constructed of weather boarding painted white. There were windows on each side, but none in the front or back, and one door in the front. Behind the school there was a coal house, which kept the supply of coal needed to heat the pot-bellied stove. Of course, there were never any modern conveniences at Hopewell School. Out back of the school were two outdoor privies, and both two holers. Could be a very cold trip and seat in the middle of winter. If they lived within a mile of the school, students walked with their lunch boxes tightly gripped, and that was part of the fun. Older students usually watched out for the safety of the younger ones, and often even helped scare a barking dog away. If the teacher lived in the area, they might pick up a few students on a rainy day. Every day of school opened with the pledge to the flag and a morning devotion. All subjects were taught to all grades by one teacher. How busy they must have been! The teacher was very excited when she obtained this special copy machine, a hectograph. After placing the master copy in a pan of gelatin-like substance, several copies could be made quite easily by picking up the ink the master copy left behind. Now she could make twenty copies of something in five minutes from one original writing. They would be so amazed at the technology available today! This was a time of learning to help your fellow students also, as students helping students was a big part of the day. Double desks made it easy for one student to sit with another, who might need a little help. With all eight grades in one room, it was also a great opportunity to learn from older students while listening to them recite their schoolwork. Getting water was a great excuse to get to leave the school ground, and students were seldom in a hurry as they enjoyed talking to neighbors along the way. There was always someone who was kind enough to let children get water from their wells and carry a bucket of it to school. There it would be placed in a large container at the back of the room that had a spout at the bottom. Everyone drank from the same dipper, unless they were lucky enough to have their own folding metal cup. Keeping warm was sometimes a problem as the pot bellied stove seemed to be extra warm on one side and rather cool on the other. One of the students would go back to the coal house and fill up the bucket to set beside the stove. The boys usually did this and didn’t really mind, as sometimes they would sneak a smoke while they were back there. Recess was spent playing baseball, hopscotch, Annie Annie Over, Red Rover, and climbing the trees to sit and talk with a friend or watch the games being played. Teachers were usually outside keeping an eye on everyone. The only time recess was inside was during a heavy rain. In the winter sledding was a popular recess activity on the nearby hills. Once in a while, the teacher would permit some students to go to the General Store in Indian Camp for a little candy or soda treat. 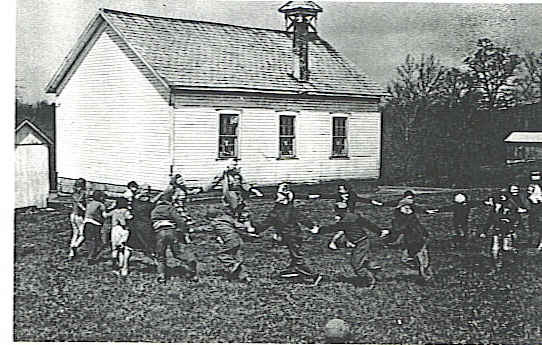 Special programs were a big part of the school and community life. The Farmers Institute was one special time when students sang and performed skits for the entire community. Every holiday was an occasion for a school activity. Halloween might involve a costume contest, and Christmas guaranteed a packed house for the program. After spending eight years at the one room school, the transition to high school was often difficult. The ride on a school bus to Cambridge High School was an adventure in itself. The early bus was a small one compared to today’s standards, and only held a dozen students. Days were long for many, who would get on the bus at 7:00 after chores were finished, and get home at 5:00 in the evening, just in time to help with evening farm chores. 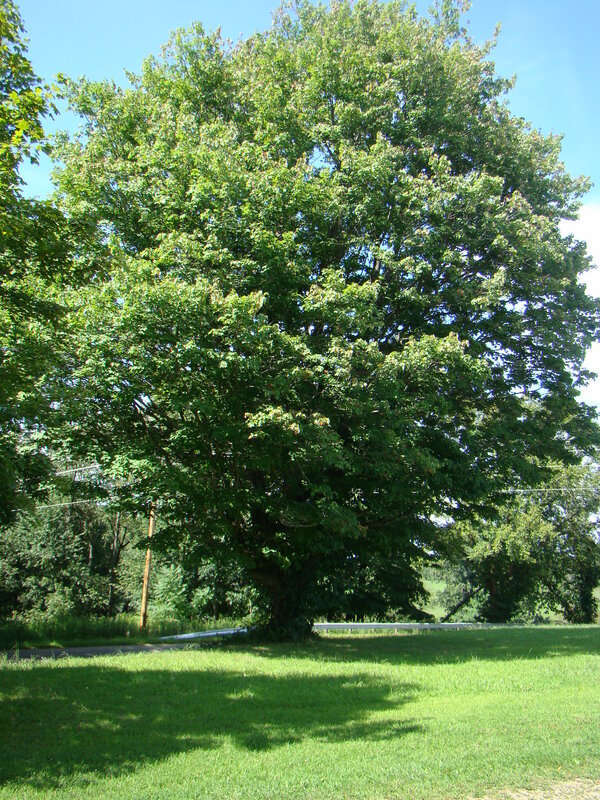 The old Hopewell School is located in Guernsey County near Cambridge, Ohio right near the outskirts of Indian Camp. Take Route 209 West out of Cambridge, then turn right on 658 North. After about five miles, you should come to the town of Indian Camp. 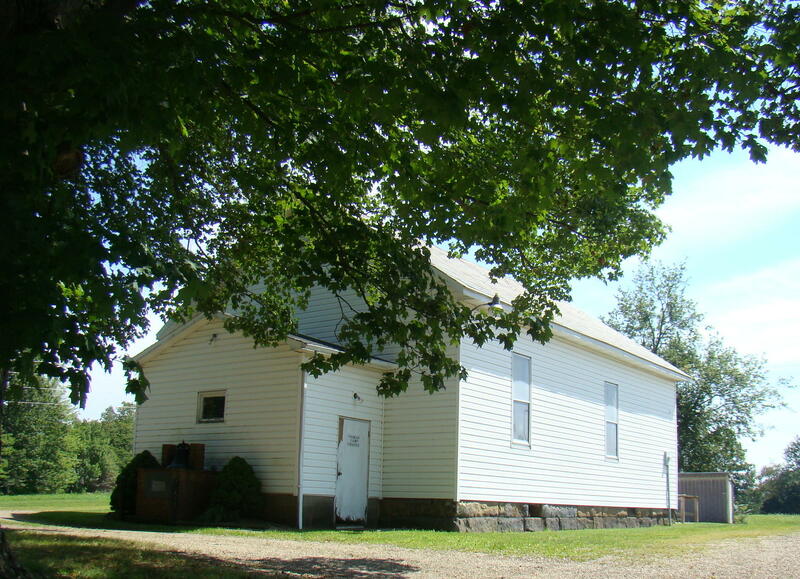 At the far side of the town, you will find a church and the old one-room school.